Dynamite Entertainment is proud to announce the full creative team for Masks 2, the eagerly anticipated sequel to 2012-2013's pulp hero extravaganza, Masks. Artist Eman Casallos (Alice Cooper) joins fan-favorite writer Cullen Bunn (Deadpool) in an epic comic book event uniting such diverse pulp characters as The Shadow, Peter Cannon: Thunderbolt, Lady Satan, Black Terror, Green Hornet, Zorro, and more. 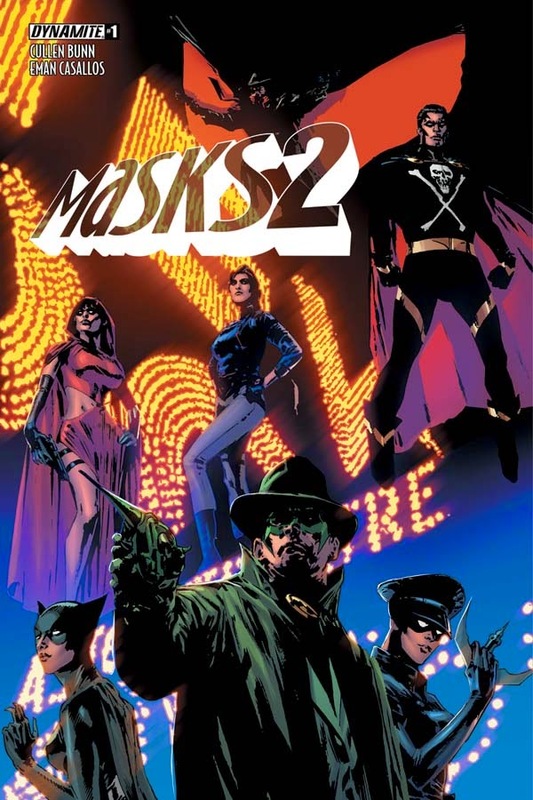 Slated for release in April 2015,Masks 2 will feature cover artwork by a selection of the industry's most celebrated artists, including Butch Guice, Jae Lee, Gabriel Hardman, Colton Worley, Sean Chen, and Robert Hack. 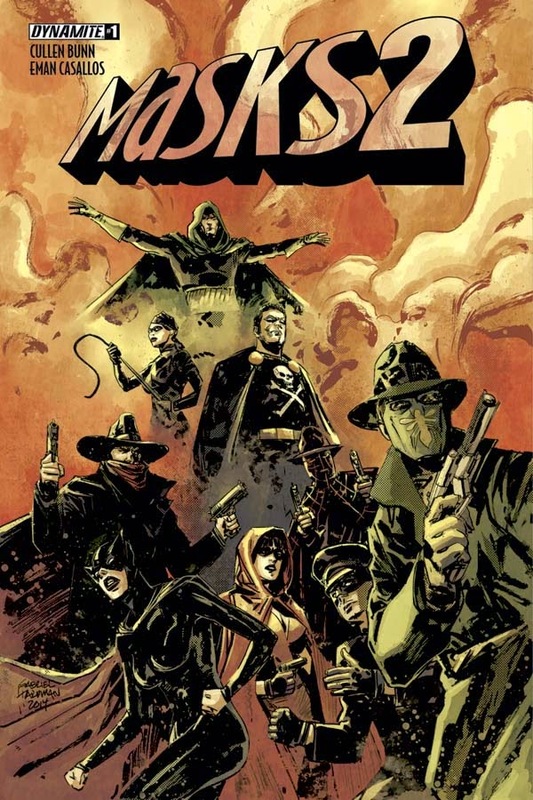 Dynamite first announced in September 2014 that Bunn, a freelance writer perhaps best known for his work on Deadpool,Magneto, and The Sixth Gun, would be writing the Masks 2 series, but today's announcement reveals for the first time that Casallos would be assuming the art chores. An accomplished artist on numerous Dynamite titles including Alice Cooper, Jennifer Blood, and The Ninjettes, the artist has the right experience for the task. "It's by far the most challenging project I'll be illustrating," says Casallos. "To be blessed with this opportunity to draw all these characters in one book, characters who are all stars in their own right, is such a great honor and privilege. I'm thrilled!" Regarding the creative pairing and the scope of the series, Bunn says, "Make no mistake, I've challenged Eman with a lot of characters, intense action, and wild scenarios. But he's met that challenge head on. His pages are genuinely stunning. I think readers will have a lot of fun with his art." 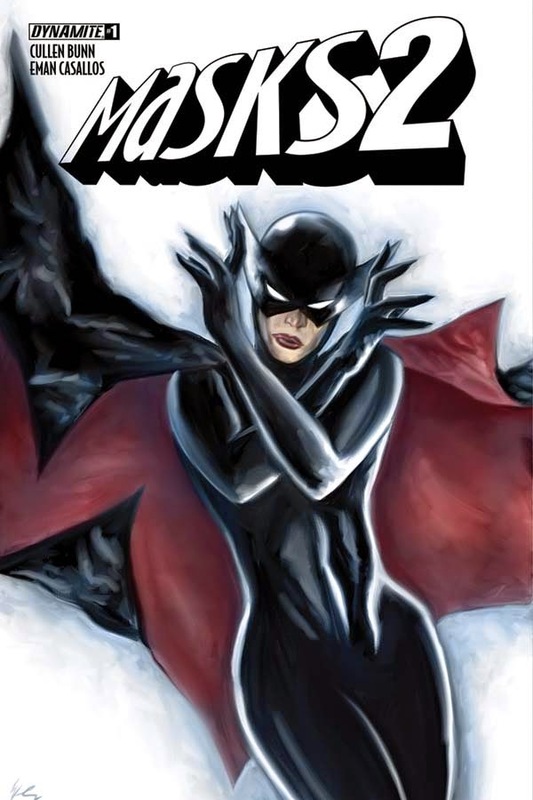 The original Masks series launched in 2012 with industry fanfare, with its #1 issue ranking among the bestselling independent comic books of the year and selling over 70,000 copies. 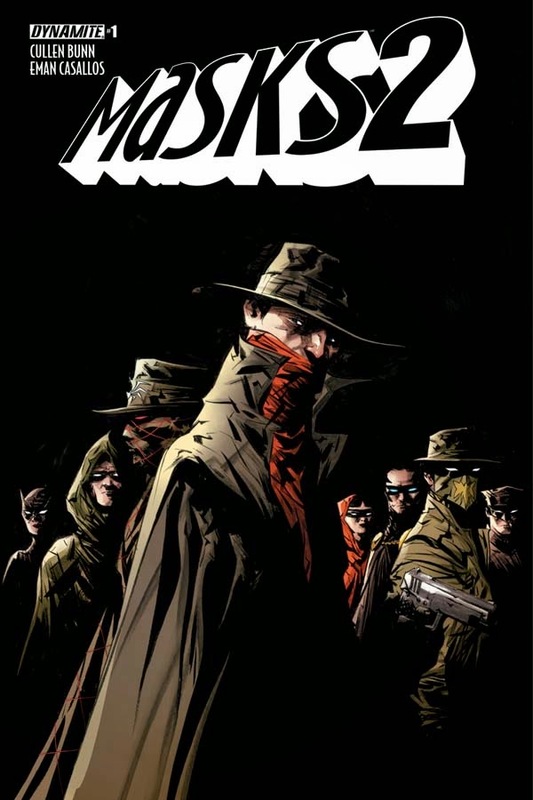 Drawn to the premise by the work of superstar painter Alex Ross, writer Chris Roberson, and artist Dennis Calero, readers thrilled to an adventure that united classic characters like The Shadow, The Spider, The Green Hornet, and Kato against a cadre of corrupt politicians and their fascist police state. Masks 2 promises to expand the scope dramatically beyond even what the first series presented, while simultaneously serving as an entry point for new, curious readers. "I'm introducing a new villain called the Red Death who is plaguing the heroes in three different time periods," says Bunn. "Again and again, she resurfaces, in the '30s, the '70s, and the present day. Her agenda is a bit of a mystery... but our heroes will start to see just how dangerous the Red Death can be. Her machinations definitely have the potential to bring all of civilization to ruin." 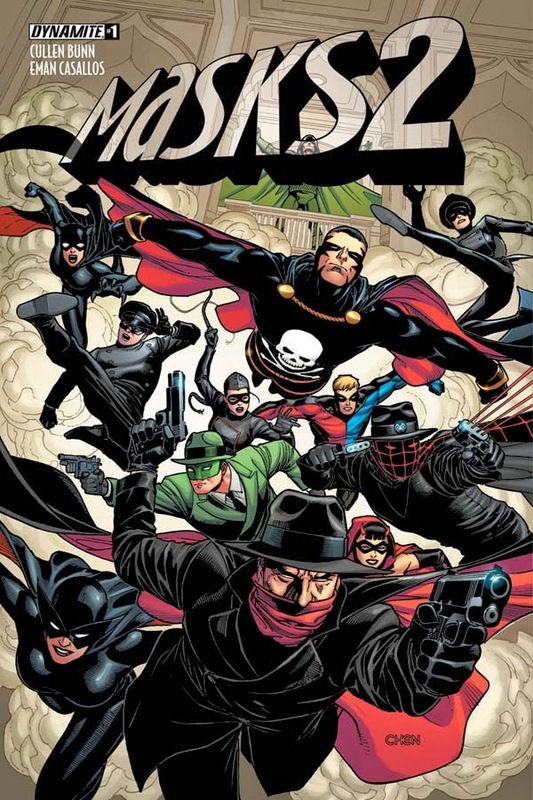 The complete Masks 2 roster of pulp heroes, gathered from different periods in time, includes: The Shadow, Green Hornet, Kato, Black Terror, The Spider, Green Lama, Lady Satan, Black Sparrow, Miss Fury, Peter Cannon: Thunderbolt, Black Bat, and Zorro. However, readers should expect the unexpected when dealing with these characters. Bunn says, "We're working with a cast of existing and new characters who span three different timelines. 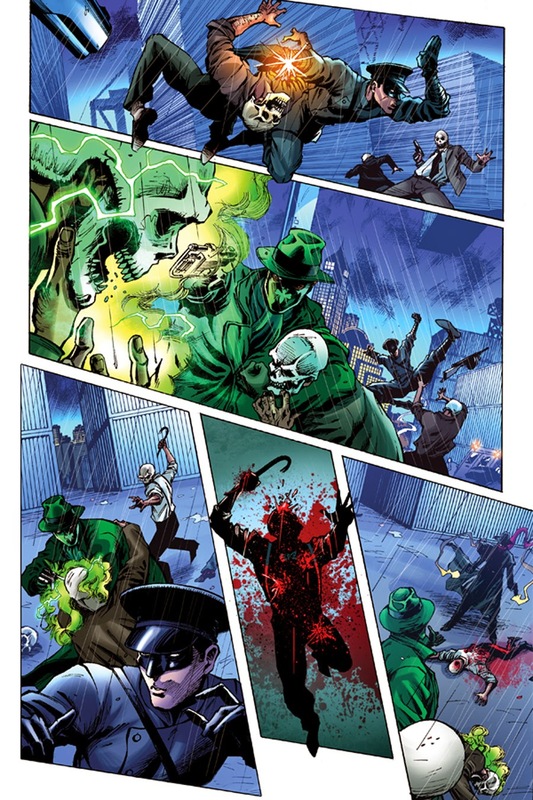 For some characters, like the Green Hornet, we'll be seeing multiple versions of those characters. We might even be seeing those various versions of those characters interacting with each other! 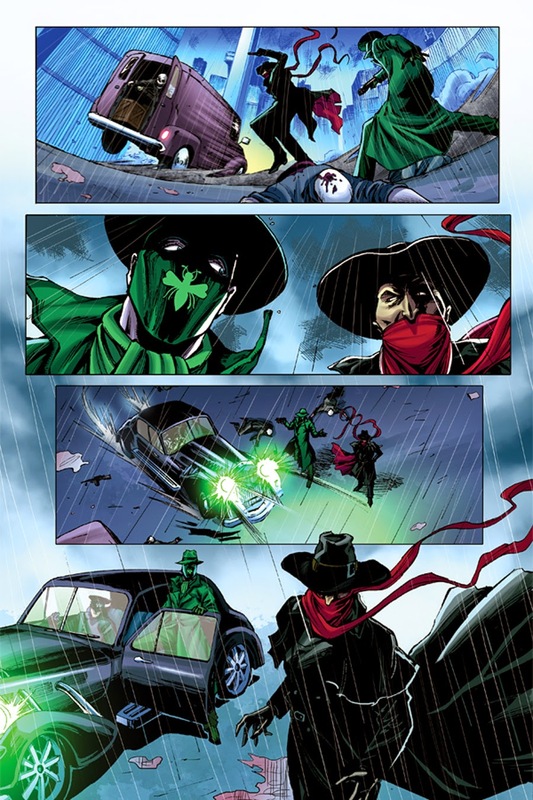 So, the Green Hornet and Kato of the 30s will be meeting their modern day counterparts face-to-face. It's a very ambitious, wild story. There were moments where, in the middle of writing this beast, I wondered if I'd bitten off way more than I could chew. But it's come together, and I'm really excited for readers to dig in." 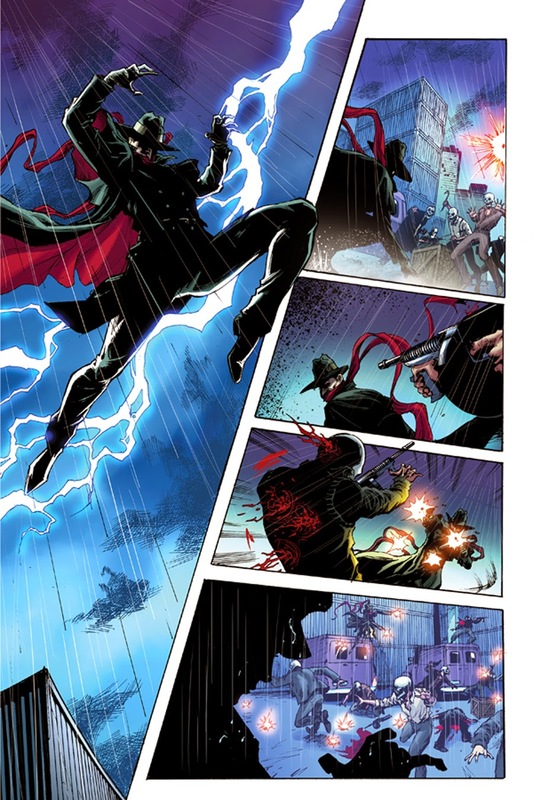 "When we brought Cullen Bunn aboard for Masks 2, I said that his imagination and fresh style was perfect for the series' high-octane premise," said Nick Barrucci, CEO and Publisher of Dynamite Entertainment. "I'm happy to extend that very same sentiment to Eman Casallos, who has been the artistic foundation for numerous Dynamite projects over the past few years. He's an amazing talent that will do right by our diverse cast of legendary characters." 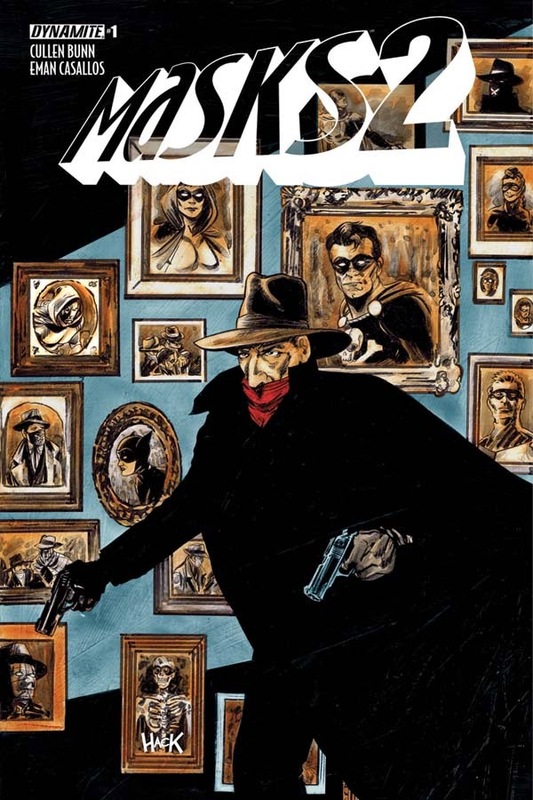 Masks 2 #1 will be solicited in Diamond Comic Distributors' February 2015 Previews catalog, the premiere source of merchandise for the comic book specialty market, and slated for release in April. 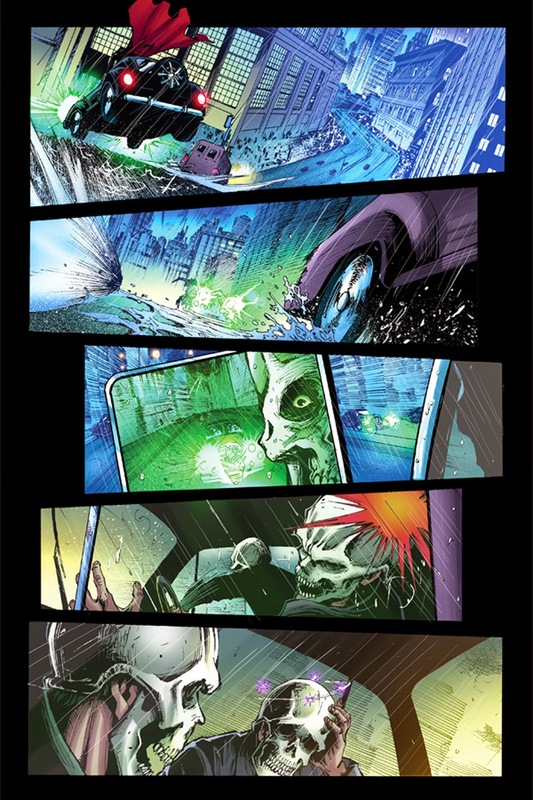 Comic book fans are encouraged to reserve copies of Masks 2 #1 with their local comic book retailers. 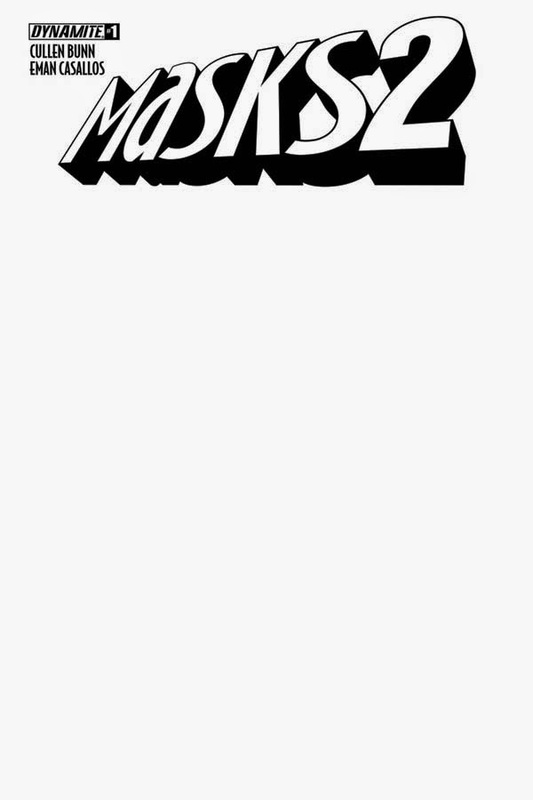 Masks 2 will also be available for individual customer purchase through digital platforms courtesy of Comixology, Dynamite Digital, iVerse, and Dark Horse Digital.